Reading at the Barnes & Noble in Nashua, NH. My friend, Jim Breyfogle happened to catch me at a climactic moment. I believe Ogg has just declared that he killed a mammoth. Writers and Illustrators of the Future, 28th Anniversary Celebration, April 15, 2012. My acceptance speech in front of almost 1,200 people. See the presentation here. Book Signing, June, 2012. This was my first, at The Brodsky Bookshop in Taos, NM with fellow WotF winner, Corry L. Lee. 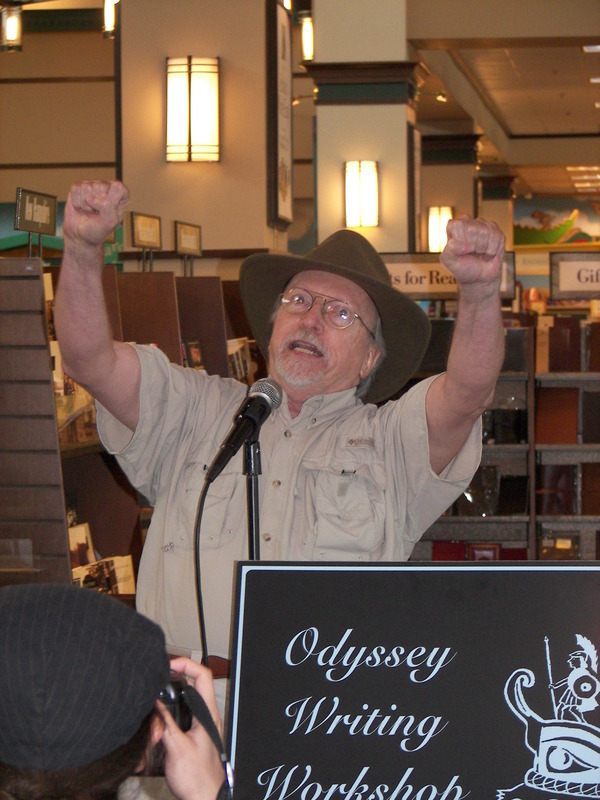 Book Signing, Aug 4, 2012, at the Barnes & Noble on Sundance Square in Ft. Worth, TX. 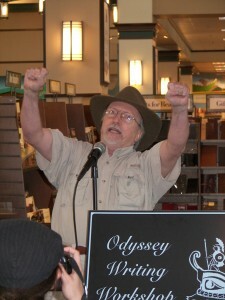 Book Signing, Aug 18, 2012, at the Barnes & Noble in Hulen Mall, Ft. Worth, TX. This one was in conjunction with Bill Leddbetter, also a WotF winner. 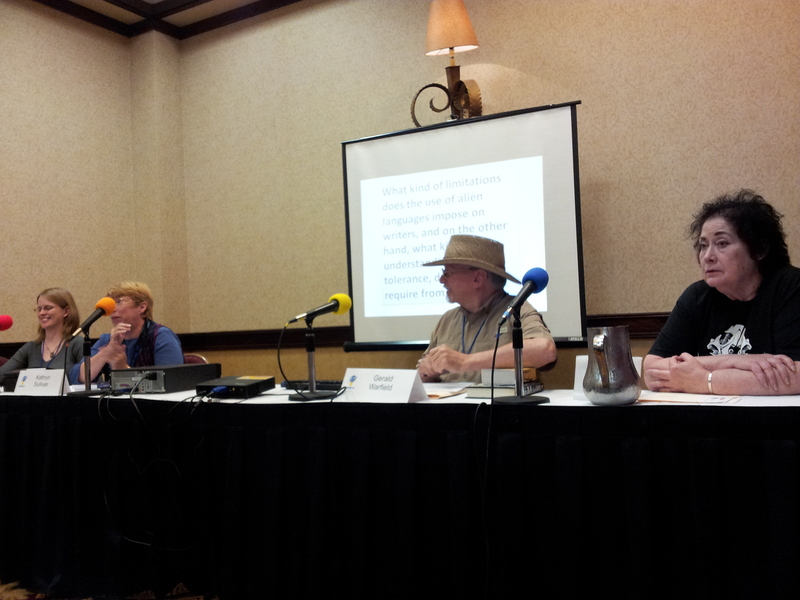 This was my panel on "Creating Alien Voices in Science Fiction and Fantasy at FenCon in 2012. We were delighted to have Cherryh on the panel with us. She was an excellent panelist although she looks pretty tired in this photo. in Dallas, TX. 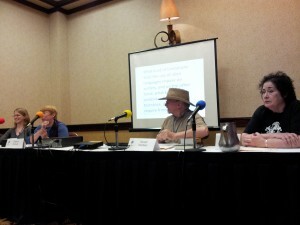 This is the panel “Creating Alien Voices in Science Fiction and Fantasy which I chaired. Panelists were Michelle Muenzler, Kathryn Sullivan, myself (chair) and CJ Cherryh! CJ looks a little tired in this photo, although she was an excellent panelist. 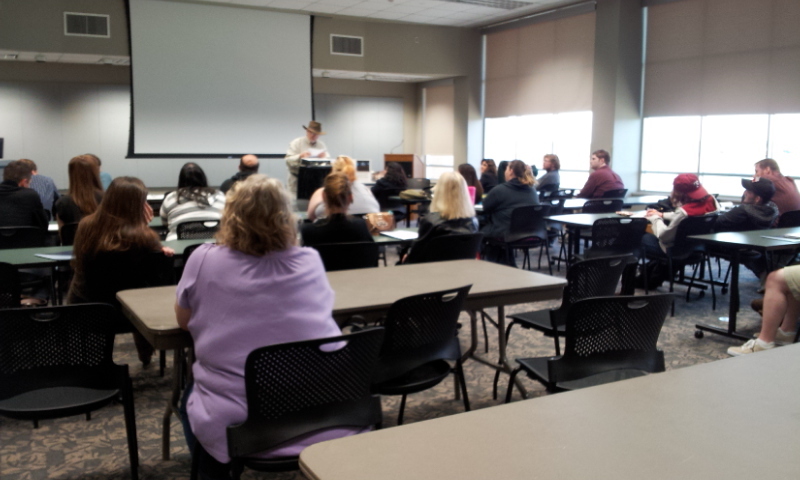 Marine Creek Writing Conference, Nov. 10, 2012. at the Tarrant County College Northwest Campus. 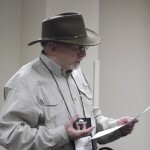 I team taught, with my friend, Pat Haldron, a class in Creative Science Fiction which included a reading of my “Origin of Third Person in Early Paleolithic Epic Poetry. 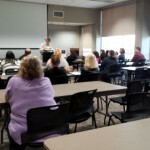 Marine Creek Writting CKonference at Tarrant Community College. Team taught with my friend Pat Hauldon. 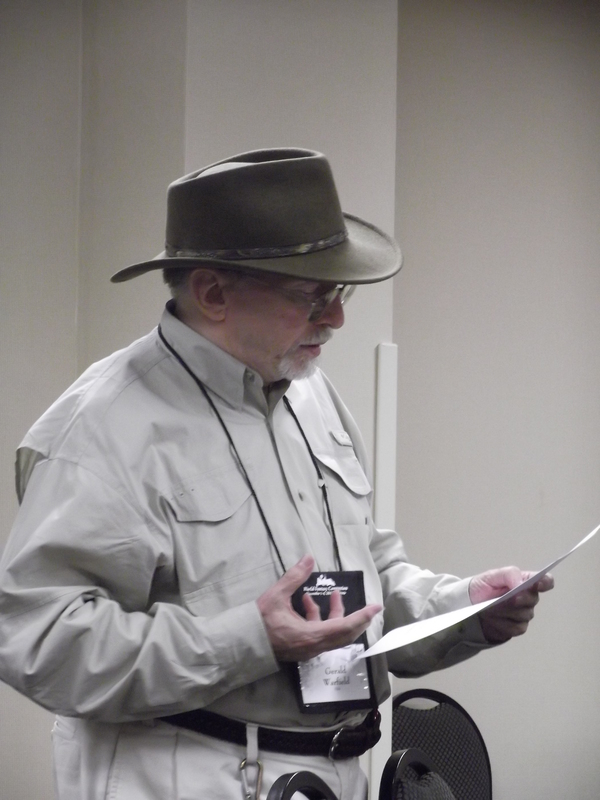 Concluded with a reading of "The Origin of Third Person in Early Paleolihic Epic Poetry." World Fantasy Conference, 2012 in Toronto, Canada at the Sheraton Parkway Toronto North. I participated in a small speculative poetry reading Saturday, Nov. 3 at 8:00 with Carolyn Clink, the wife of Robert Saywer. A handful of us read some great poetry. My regular reading was Sunday morning at 11:30. Had a small but good crowd. Read “The Origin of Third Person in Early Paleolithic Poetry,” “The Wisdom of he Dead,” and “The Number of the Tribe.” Richard Baldwin, in particular, gave me some good pointers on my presentation. Elaine Isaak and Lisa Po were there as well as Natalie …………………………………Reese Sage, Tanith Korravai, Jennifer Brin, and …………………………………others. The official portrait, L. Ron Hubbard's Wriyers & Illustrators of the Future, 28th Anniversary Celebration, April 15, 2012 at the Wilshire Ebell Theater of Los Angeles. Joni Labaqui, the contgest administrator, is the red-head in the middle (hand on podeum) and my illustrator, Jay Richard, is right behind her. I'm in the middle row, slightly stage right, between Mike Resnick and my friend, Scott T. Barnes.